What if we lived each day as though it were part of a bigger picture, a plan? 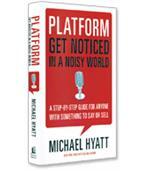 That's what authors Michael Hyatt and Daniel Harkavy show us how to do: to design a life with the end in mind, determining in advance the outcomes we desire and path to get there. In this step-by-step guide, they share proven principles that help readers create a simple but effective life plan so that they can get from where they are now to where they really want to be--in every area of life. 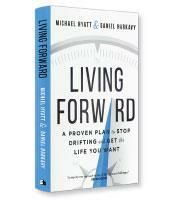 Most people don’t plan their lives, write Michael Hyatt and Daniel Harkavy, authors of Living Forward: A Proven Plan to Stop Drifting and Get the Life You Want. Instead, people drift through the years, going where circumstances take them rather than taking control. Living Forward offers a game plan for taking control through a tool call a “Life Plan,” which, as the authors explain, will answer three vital questions. How do I want to be remembered? The best way to identify your desired legacy, according to the authors, is to write your own eulogy. This rather impertinent process forces you to think about what you would like others to say about you at your funeral. The first step, of course, is to understand who those others will be. Writing your eulogy, the authors explain, begins with identifying all of your key relationships, either by individual name or by group (e.g., my peers in the company). You then describe how you want to be remembered by each group. What matters most to me? 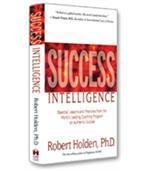 To help readers determine their priorities, the authors offer a tool based on what they call Life Accounts. The term is chosen for its connotation of bank accounts — that is, accounts that either have a growing balance, consistent balance or declining balance. Grouped in three concentric circles around the YOU at the center, the first three Life Accounts — spiritual, intellectual and physical — involve your relationships with yourself. The second concentric circle of three Life Accounts — marital, social and parental — involves your relationships with others. Finally, the outermost concentric circle of three Life Accounts — vocational (your job), avocational (your hobbies) and financial — concerns your output. These are prototypical Life Accounts, but the authors emphasize that people may have different accounts and even a different number of accounts. Every individual must determine what is most important to them and, thus, create their own Life Accounts. Whatever the specific accounts may be, “the goal is to have a positive balance in each of your Life Accounts,” the authors write. The authors cite two criteria that for them are the essential components of a positive balance in a Life Account: passion, which is about enthusiasm, and progress, which concerns results. If you have one or the other but not both, your Life Account is depleted. If you have neither, that particular Life Account is severely depleted. How can I get from here to where I want to be? The Life Accounts are the basic elements of this plan. For each account, the authors advocate writing a purpose statement (the overall goal, or exactly what you want to accomplish for that life account); an envisioned future (a scenario that describes the ideal state you want to reach); an inspiring quote; current reality (an honest, detailed description of the current situation); and specific commitments (what, specifically, you will do to reach your envisioned future). 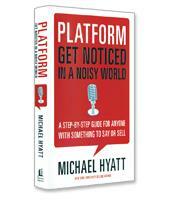 The authors finish with tools and advice to help implement the plan. As the Life Plan it advocates, Living Forward is succinct, focused and clear — a vital owner’s manual that helps you make sure that life is working the way it is supposed to.